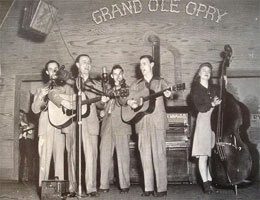 Groupe Country US formé en 1944 et comprenant Kyle Bailes (né 7 Mai 1915 à Kanawha County (Virginie de l'Ouest), décédé le 3 Mars 1996), Johnnie Bailes (né le 24 Juin 1918 à Kanawha County (Virginie de l'Ouest), décédé le 21 Décembre 1989), Walter Bailes (né le 17 Janvier 1920 à Kanawha County (Virginie de l'Ouest)) et Homer Bailes (né 8 Mai 1922 à Kanawha County (Virginie de l'Ouest)). 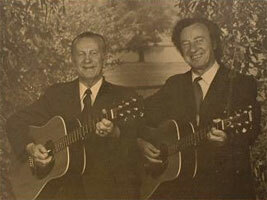 From the mid-'40s through the '50s the Bailes Brothers were among the most popular close-harmony duos. There were actually four brothers — Kyle, Johnnie, Walter and Homer — but they seldom worked together as an entire group, instead pairing off for performances. 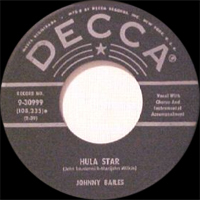 The Bailes were born and raised in West Virginia, near Charleston. Their father, a minister, died when they were young and their impoverished mother had to struggle to keep them together. (Years later, Walter paid tribute to her trials with his song "Give Mother My Crown.") 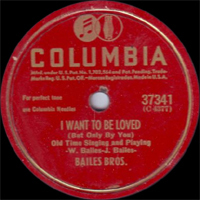 While working a variety of odd jobs during the Depression, the brothers were inspired to pursue music by the songs of such performers as Billy Cox and Buddy Starcher. They started out on a variety of radio programs, but didn't earn much recognition until 1942, when Johnnie and Walter began working as a duo at WSAZ Huntington. All four brothers played string instruments; after they became popular, they added other members to their group, among them Fiddlin' Arthur Smith. 1961 SP BRIAR 45 109 (US) .